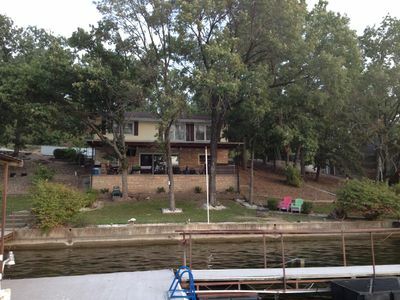 Great 2 story Lakefront home with large dock. 195 ft. shoreline. 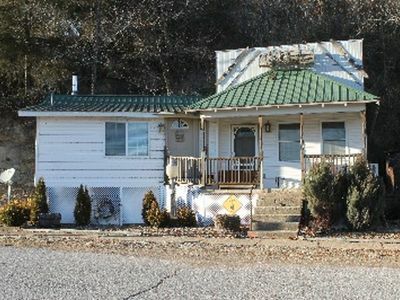 Large lot with asphalt to your doorway. 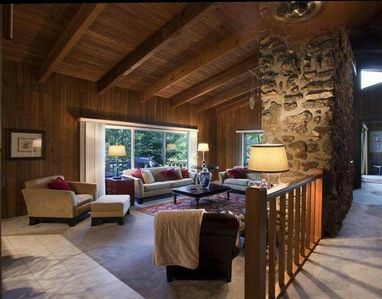 Whether it's fishing, relaxing, boating, or just enjoying time with old friends, you'll find what you're looking for in this 2600+ sq.ft. home. 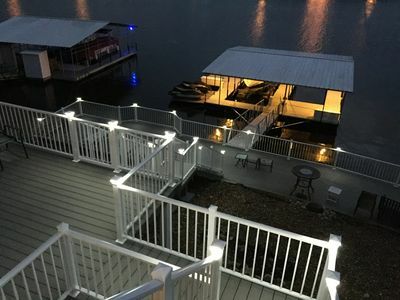 Dock has now been updated and is a favorite to hang out and enjoy the water! Hate dock ladders?? 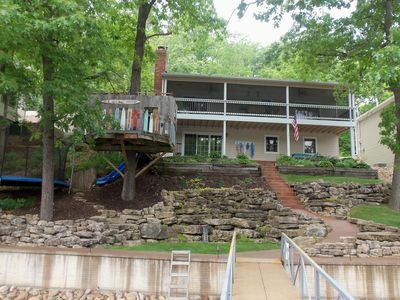 Check out the stairs leading into the water! Now anyone can safely get in and out of water! If you are looking for a place for loud parties, this is not the place. Our neighborhood is quiet and respectful. 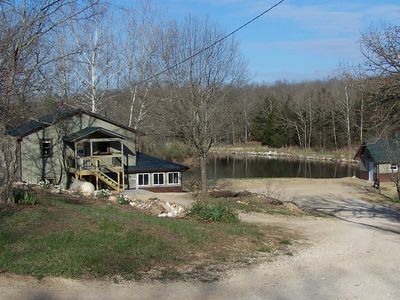 Fully furnished including fishing poles and tackle. Even a cooler and ice for your favorite beverages to stay chilled without constant trips to a convenience store. 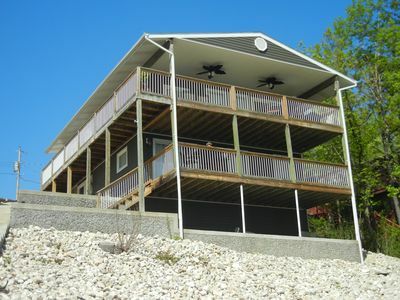 Located at 3 mile marker across from Village Marina. 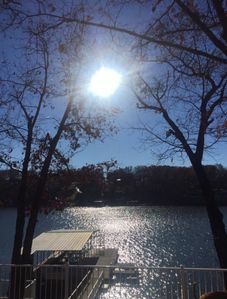 We have boat slips and now have room for rental boats but we offer the best deal! Contact me for more details on out Bennington tritoon. We also have a lift for 2 jet skis. 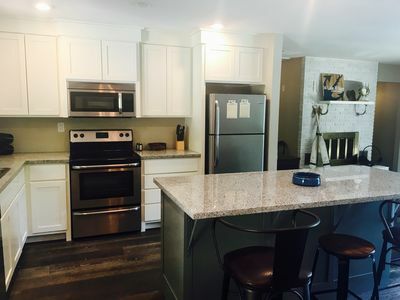 King size beds in 3 bedrooms and 4th bedroom has 2 full size beds. 2 master bedrooms have large walk-in tiled showers. We provide air mattresses and extra bedding if needed. 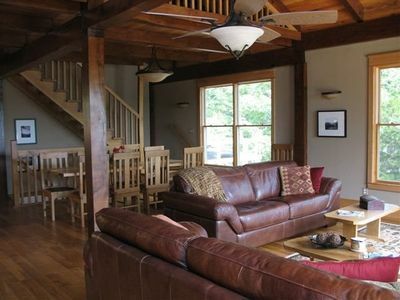 This is the perfect place to gather with friends and enjoy the benefits of being all together. 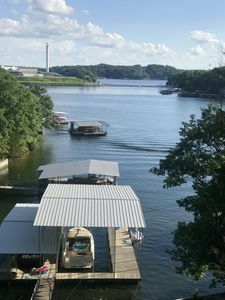 Boating & Water Fun in the Sun at Missouri's greatest Gem - Lake of the Ozarks. 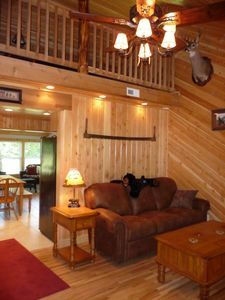 Escape from reality at Dry Creek Cabin! End Of Cove Home For Family Fun In Sun! 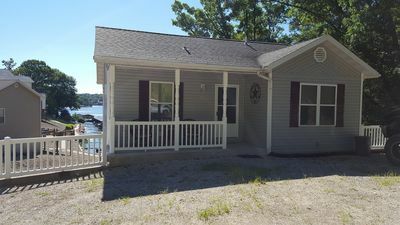 Family Friendly Lake Fun with 5 bedrooms, a fire pit, and a hot tub! 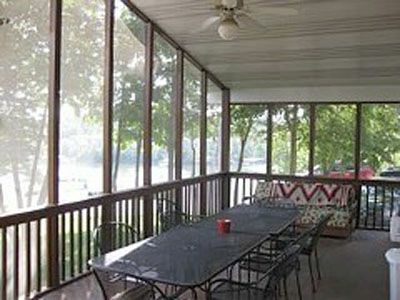 Beautiful Lake Front View! 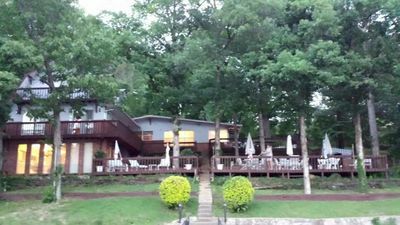 Wonderful Secluded Lake House close to all the fun!